Specializing in palms and unique plants. If you are looking for something different come check us out. Calle Horizonte, inside of La Esquina Restaurant, Todos Santos, Baja California Sur, Mexico CP 23300. Macetas, fuentes, plantas y mas. Gardening and landscaping needs. 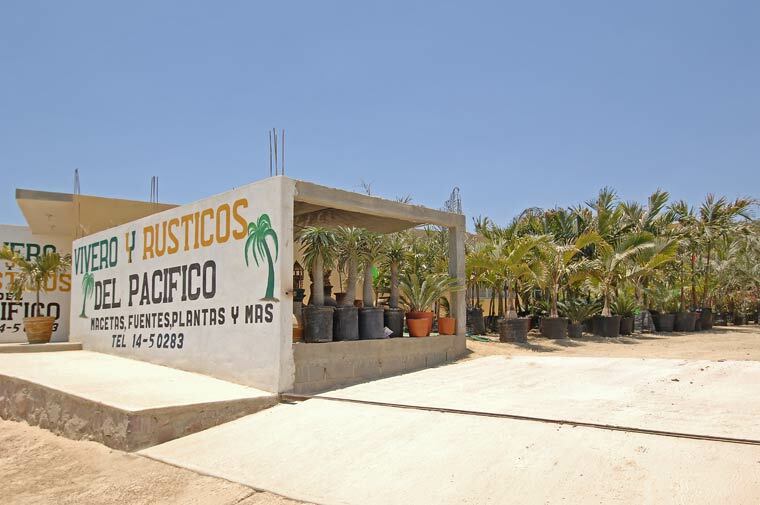 They carry a full range of palm trees, other trees, desert plants, shrubs and flowering plants. Calle Las Playitas, in Las Brisas on the other side of Todos Santos.